I was surprised that plastic teddy bear claws are not readily available for purchase. 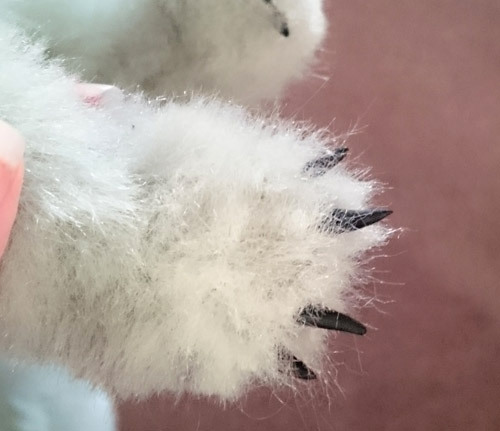 I assumed that they would be as popular as the plastic and glass bear eyes and noses that you can get from any bear making site or sites like Amazon or eBay, but I couldn’t find a single listing for buying bear claws. I wanted real claws on my next Carbuncle/fennec fox plushie so had to do something! We’re using polymer clay as it’s easy to use, strong when cooked, maintains it’s shape (i.e. doesn’t shrink when drying like air-dry clays) and usually comes in the colour you want. Take a small ball of clay and run between your fingers into a cone shape. Then refine into the claw shape you’re after whether it’s long and fine or a big thick hooked claw. The clay is pretty good in terms of keeping a smooth surface with no fingerprints. The claws I am making are for little fox paws so mine are fairly small. They would also be suitable for most teddy bears. Unless you’re making a realistic grizzly-type bear you wont want the claws to look too vicious. Use your sewing needle or pin to make a hole at the non-pointy end from the left-to-right side. The hole end may distort a little but this bit will be hidden inside the bear. 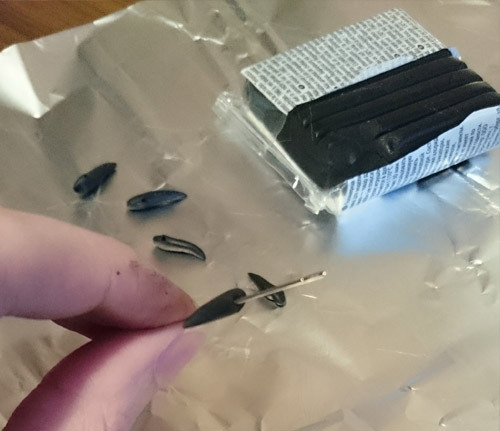 When making your claws, place them directly onto the aluminium foil or baking try you plan on using. This reduces any chance of damage if you transfer them later. If you can, make more claws than you need as you may end up with some duds. Bake according to package instructions. 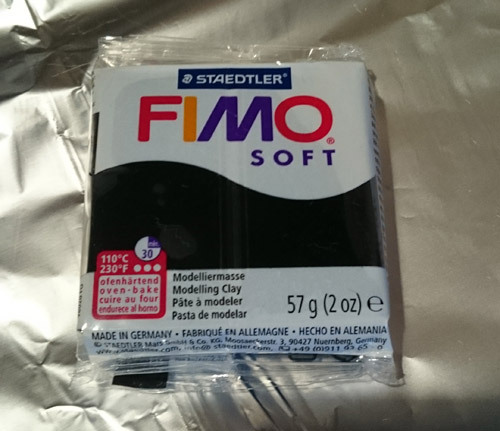 For the Fimo Soft I was using, this was for 30 mins at 110 degrees centigrade. 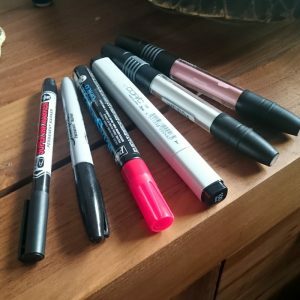 Store any remaining polymer clay for use later. This clay will last for years if stored properly and wont dry out via the air – only by exposure to light or heat. I store mine in old plastic shopping bags but Tupperware or craft boxes will do fine. 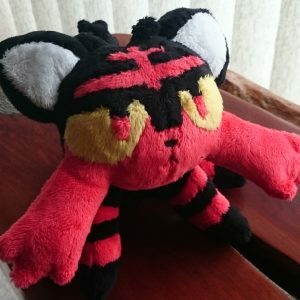 One your claws have cooked and had time to cool, they’re ready to sew onto your plush. 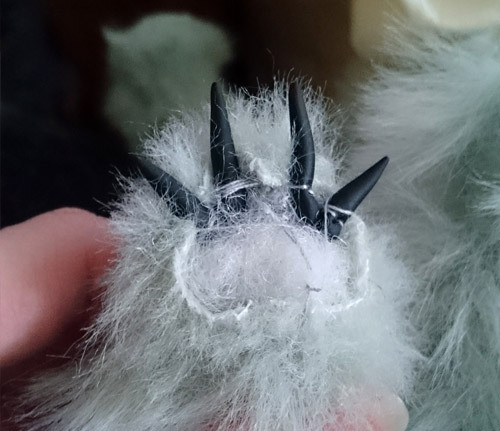 Sew each claw individually, starting from the centre claw(s) and moving out. I also secured mine after sewing with a little fabric glue mostly because of paranoia. After sewing, and letting any glue used dry, you can sew your foot pad to the paw. You may also find that you want to extend this method to sculpt the whole foot – claws and foot pads – as a single entity. 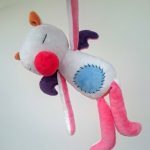 This lets you make little pink footpads and very secure claws out of clay and add a small trim of fur fabric around. 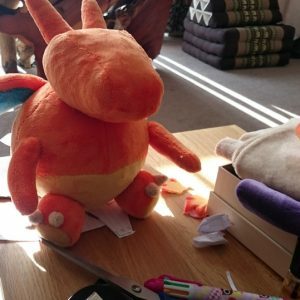 If you decide that you don’t want solid claws and want squishy fabric claws instead, please checkout my alternative tutorial: How To: Make perfect plushie feet which includes details of chunky fabric claws. How durable are clay claws? 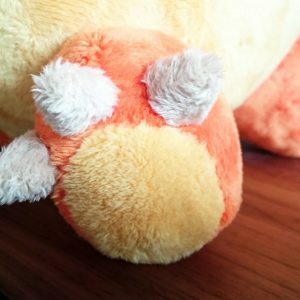 Are they likely to chip or crack if the plush is cuddled a lot? Polymer clay is really durable once baked and won’t crack or get scratched or damaged. It would only be if you used other clay types (eg quick dry clay which is more brittle) or paints on top of the clay which can be scratches where you would have to worry about durability. 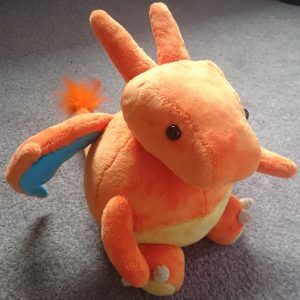 You may be able to use polymorph plastic if you want it to be shiny. Dont quote me on this, I’ve never made a bear or anything, but it seems like it would work.